What Is a CRP ELISA Test? 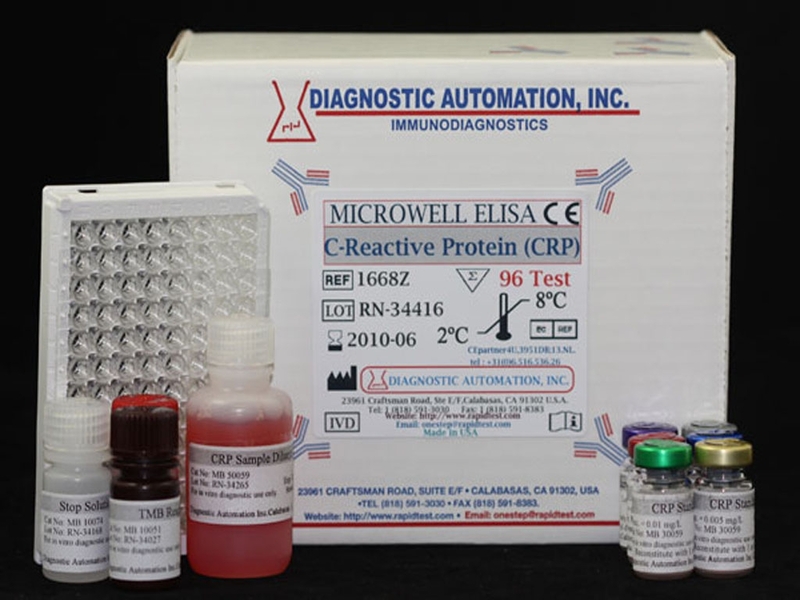 C-Reactive Protein – CRP ELISA test is a high sensitivity Cardiac Marker ELISA test for the quantitative determination of C-Reactive Protein concentration in human serum. Using a CRP ELISA is especially practical for the diagnosis, therapy, and monitoring of inflammatory processes associated with heart function in the context of myocardial infarction, but other conditions can lead to an elevation in cardiac marker level. Infarction is tissue death caused by an interruption in the blood supply to an area. There has been extreme interest in the utilization of Cardiac Markers in assisting the clinician at a point-of-care setting (outside clinical lab or hospital emergency room) with diagnosing myocardial inflammation (MI), commonly known as a heart attack. The easy-to-use CRP ELISA test is an invaluable instrument in improving the accuracy and speed with which chest pain patients can be diagnosed and treated at these alternate-site testing venues. Studies have shown that point-of-care cardiac marker tests, like the CRP ELISA Test, help in making an early diagnosis, allowing for better utilization of real-time decision making and subsequent treatment. Total time for a CRP ELISA test result is approximately one hour. Measurement of C-Reactive Protein by sensitive CRP ELISA tests may add to the predictive value of other cardiac markers [Myoglobin, Troponin, Digoxin, Creatine-kinase-MB, and Lp(a)]. Please contact our Customer Service Department for more information on any of these Cardiac Markers ELISA test kits at 818-591-3030. Click here for product page.